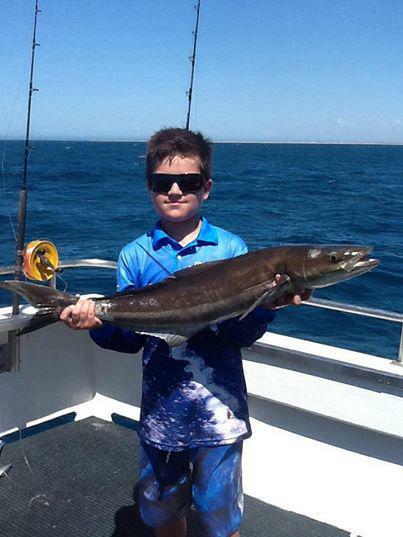 It’s common to catch a few Cobia on our trips as they are more prevalent in the Exmouth Gulf in the cooler months. They have habits that are quite fickle but we have our ways of finding them. As a gamefish, Cobia are a tough adversary and worthy of the angler’s respect but can be a little hard to predict. Cobia are pelagic and are normally solitary except for annual spawning aggregations; however they will hang around at reefs, wrecks, harbours, buoys and other structural oases. They may also enter estuaries and mangroves in search of prey. Cobia feed primarily on crabs, squid, and other fish. They like to follow larger animals such as sharks, turtles and manta rays in hope of scavenging a meal. Cobia are intensely curious fish and show no fear of boats. Cobia grow big in our waters, with a record fish of 61.5 kilos taken at Shark Bay by Peter Goulding in 1985. That’s certainly a big cobia. 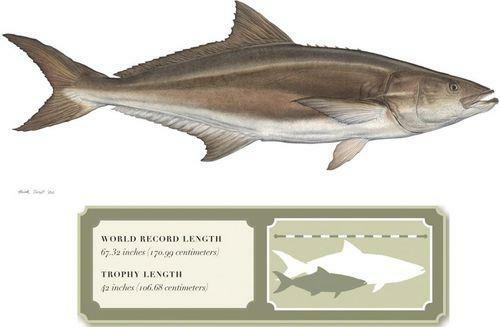 Most often anglers catch cobia in the 5-15kg range. 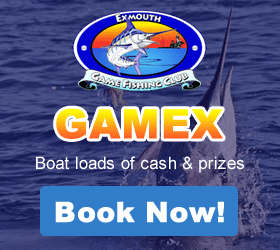 If you catch a 20 kg Cobia, you would be doing well with 30kg plus being at boasting status. They are found in areas of the Atlantic and Pacific Oceans where water temperatures average 24 °C or greater. 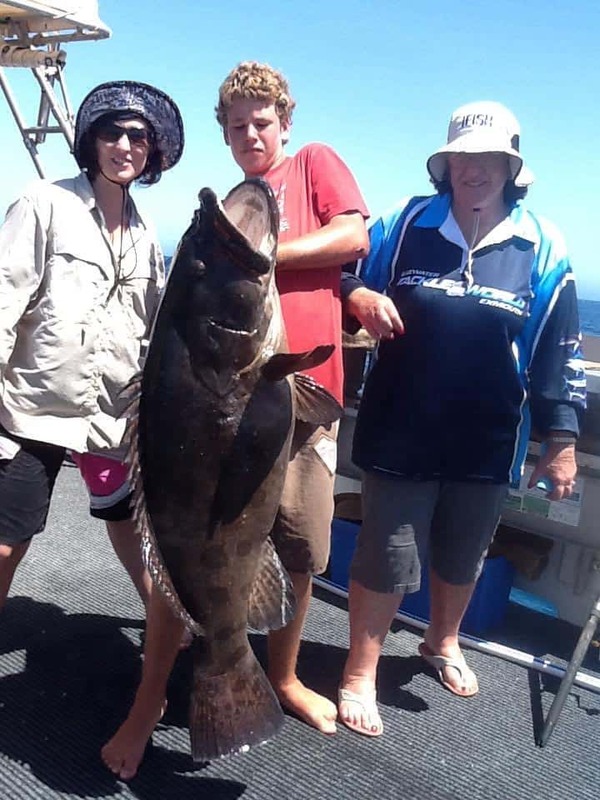 The largest taken on rod & reel was taken from Western Australia weighing 60 kg. Had a great day out today with a family from Newman. 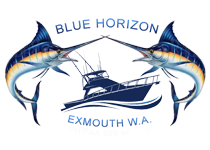 We didn’t bag out but we got some good quality fish – 12 Spangled Emperor, a 14 pound Red Emperor caught by one of the young girls and 3 nice Cobia. We also hooked a 60 to 70 pound Potato Cod. The Potato Cod are a protected species, so it was released. There are some more great photos of the Potato Cod on our Facebook page. Watch the Potato Cod interacting with some divers in the video below.